Through the use of highly qualified and trained tutors, the tutoring program seeks to empower the students being served in their pursuit of becoming independent learners. All tutors hired by CETL have been highly successful in the courses they tutor. The center can help with any writing related projects ranging from proofreading, mechanics, grammar, formatting, feedback and related assistance. Unlike other forms of assistance, SI targets high risk courses rather than high risk students. 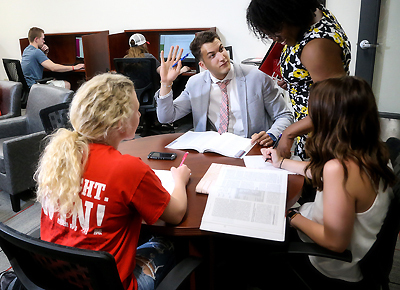 ALL students are encouraged to attend SI sessions because the courses being targeted have shown to have historically high D/F/W rates for a large number of Minot State University students. Academic advising is a personalized, interactive, and intentional process in which the advisor helps the student set and achieve academic, career, and personal goals. POWER is funded by a TRiO-Student Support Services grant from the U.S. Department of Education. The program helps low-income Americans enter college, graduate, and move on to participate more fully in America’s economic and social life. 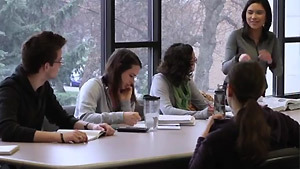 The mission of the Disability Support Service Office (DSS) is to ensure a comprehensively accessible University experience where individuals with disabilities have the same access to programs, opportunities and activities as all others. The DSS is also committed to promoting access and awareness as a resource to all members of the community.